Lake Kurth and Kurth Dam are located about six miles north of Lufkin off US 59 in Angelina County on the south bank of the Angelina River Flood Plain. 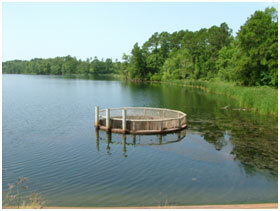 The facility is an off-channel reservoir and currently owned by the City of Lufkin. Permit No. 1912, dated June 3, 1958, issued by the State Board of Water Engineers to Southland Paper Mills, Inc. authorized construction of the dam and the off-channel reservoir to impound 16,200 acre-feet of water per annum. Construction of the Kurth Dam began May 26, 1959. Southland Paper Mill in Lufkin. Construction of Kurth Dam began May 26, 1959. The designing engineers were Lockwood, Andrews and Newnam. The general contractor was Brown and Root, Inc. 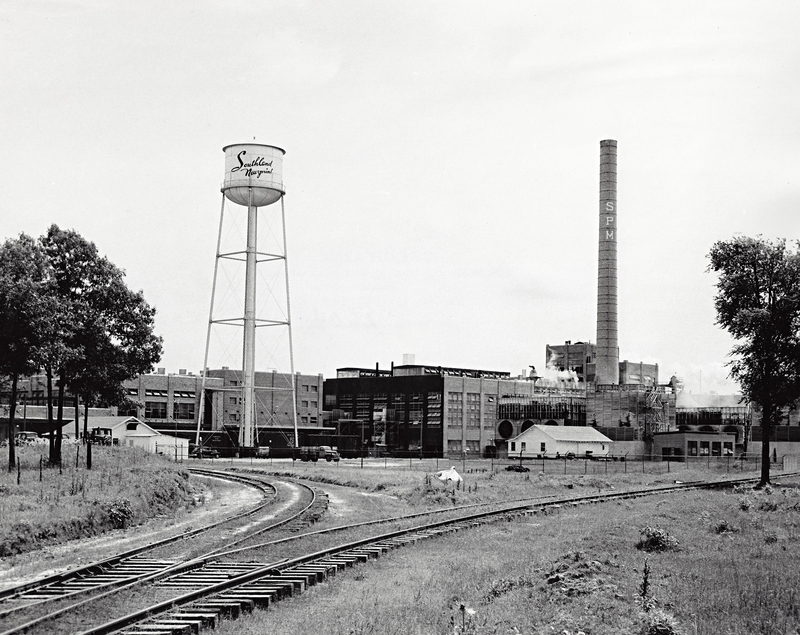 The project was completed July 21, 1961 and pumping began in September of the same year. The dam is an earth-filled levee, 8,600 feet in length and an average height of 37 feet. The crest of the dam is 16 feet wide at elevation 206.0 feet. The service/emergency spillway is a drop inlet located at the left (west) end of the dam's embankment. The crest of the 25 foot diameter morning glory type opening is at elevation 197.5 feet. Three monolithic concrete conduits extend through the embankment and discharge any overflow waters downstream of the embankment into the Angelina River. There is no required outlet in the dam because this lake is a pumped storage facility. According to TWDB 1996 volumetric survey, the lake can store 14,769 acre-feet of water encompassing a surface area of 726 acres, at its conservation pool elevation 197.5 feet above mean sea level. The dam controls a drainage area of approximately 4 square miles. You can view the full Volumetric Survey here TWDB Complete Surveys & Data.